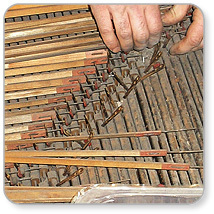 Creativity and the hand of the master: the two elements that make craftsmanship and are impossible to replace by a machine or a computer. 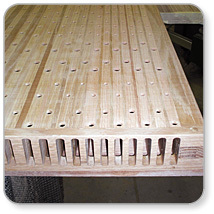 However, the precision, speed and polyvalence of a numerically controlled cutting-device offer great support in the manufacturing process of the craftsman. 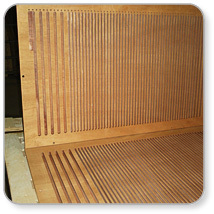 All of the elements of a wind chest, even one with a massif wooden upper table, can be manufactured with a numerically controlled device. 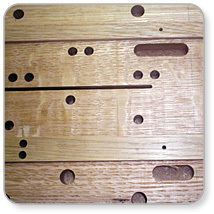 In order to facilitate the assembly of the chest parts and to tune all the elements the best possible way, the following parts can be manufactured and bevelled in advance. 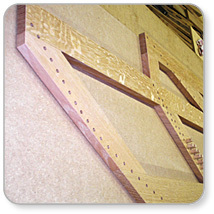 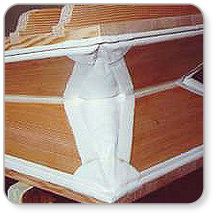 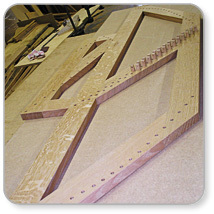 • all borings and grooves in the chest frame as well as their edge joints with bungs and dovetails. 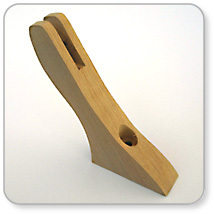 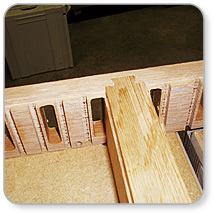 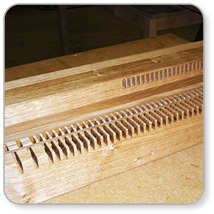 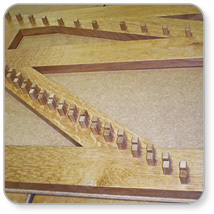 The various parts of the bellow are cut to their precise dimensions. 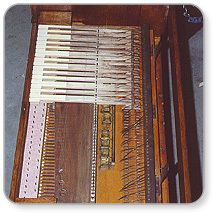 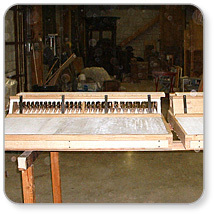 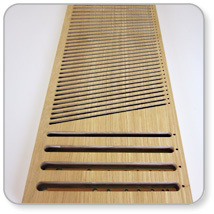 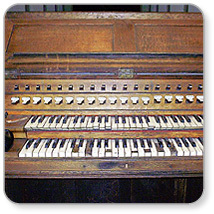 Digital technology shows its particular advantage when manufacturing the organ action. 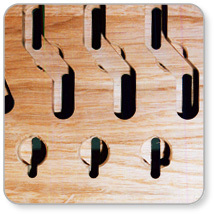 The keyboard action and the chest action fit together perfectly at the rollerboards. 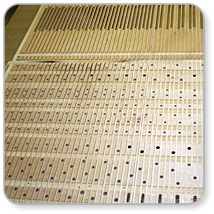 Long repetitive manufacturing processes, of an action bar for example, are executed by the numerically controlled cutting-device in an autonomous way. 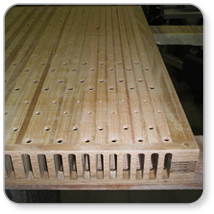 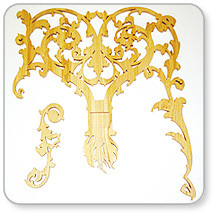 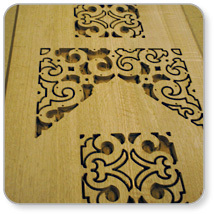 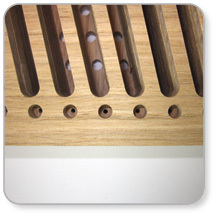 During this time, the technician can prepare the next piece to be tooled in advance. 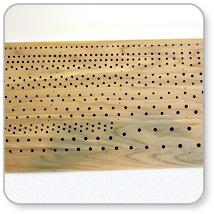 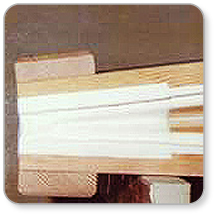 Even a unique piece with a complex structure, such as sculpture on wood, can be advantageously executed with the digital machine. 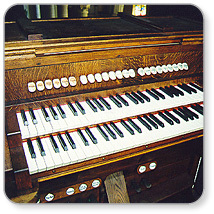 Aside from yearly organ maintenance, we also repair church organs. 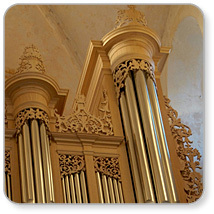 We have already actively participated many times in the restoration of historic instruments. 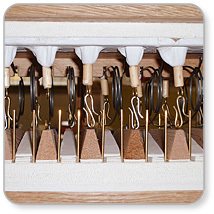 A considerable part of our activity consists in the manufacture and sub-contracting of parts for new organs. 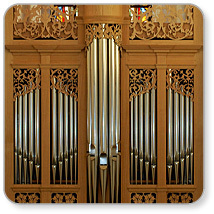 To accomplish this work we have recently employed digital technology with much success, all the while respecting the craftsmanship aspect of organ building. 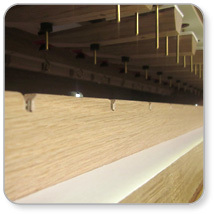 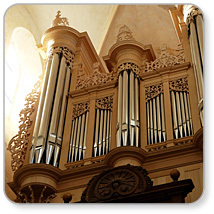 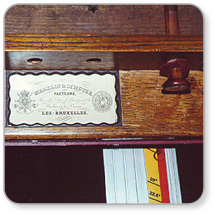 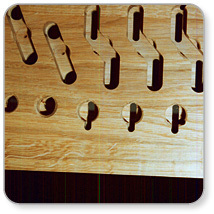 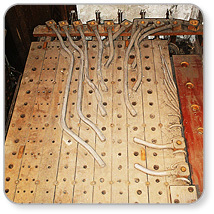 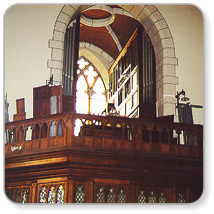 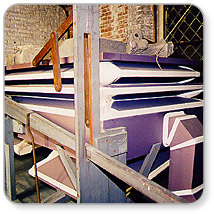 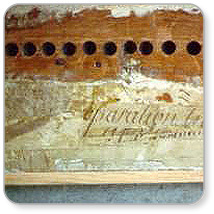 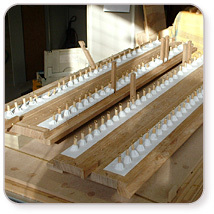 The maintenance and restoration of harmoniums is naturally a part of organ building.